The first time Carl and Mary Matice made chocolate they spent 20 hours hand grinding the cacao beans. In search of a hobby they could enjoy together, the couple had been married for five years at the time, they even purchased a granite mortar and pestle—a large Mexican molcajete. Though they only had a pound of raw cacao beans, after they roasted and manually cracked them open, they still had to grind them—for days! But while the process was arduous, it yielded a great product, one packed with delicate flavors and no bitterness. Carl and Mary were amazed—and hooked. They had discovered a whole world of chocolate far beyond Carl’s childhood love of Reese’s peanut butter cups. 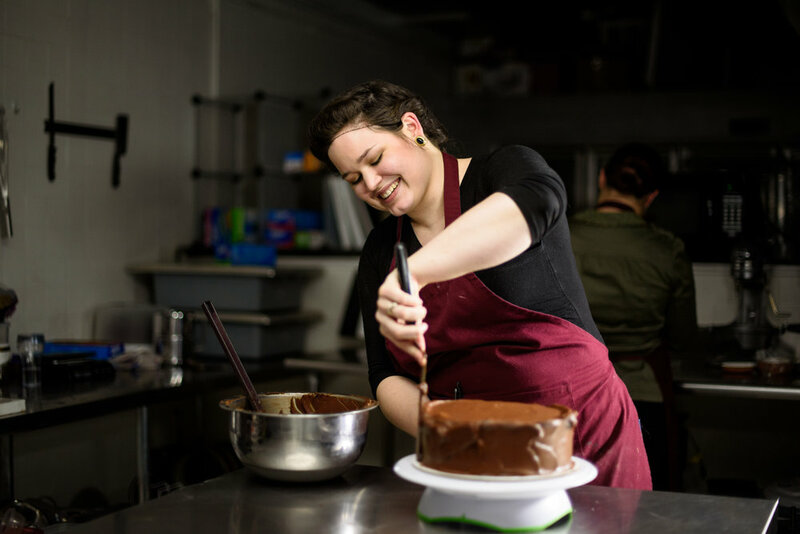 Once friends and family started enjoying and requesting Carl and Mary’s creations, they decided to start selling their chocolate at the Lynchburg Community Market. After just three months, the couple’s one-bedroom apartment was overrun with chocolate-making equipment. Machines covered all the counters and a second refrigerator even sat in the living room. “There was no room to walk in our apartment,” Carl said. That’s when Carl and Mary realized they needed a commercially-licensed kitchen, and in 2012 they moved into a friend’s coffee shop. Over time, they continued to perfect their craft. They learned that by using a commercial grade grinder, they could get a smoother chocolate with much less labor. So, now they grind their beans in a machine that runs at 120 rpm for 48 hours. As their passion and skill for chocolate making grew, Carl and Mary also learned the powerful importance of bean quality. They made a commitment to only use fairly-sourced organic beans. Today, their chocolate only contains cacao, organic raw cane sugar, and in milk chocolate products, organic hormone-free nonfat milk powder from grass-fed dairy. They call this commitment the Altus Difference. 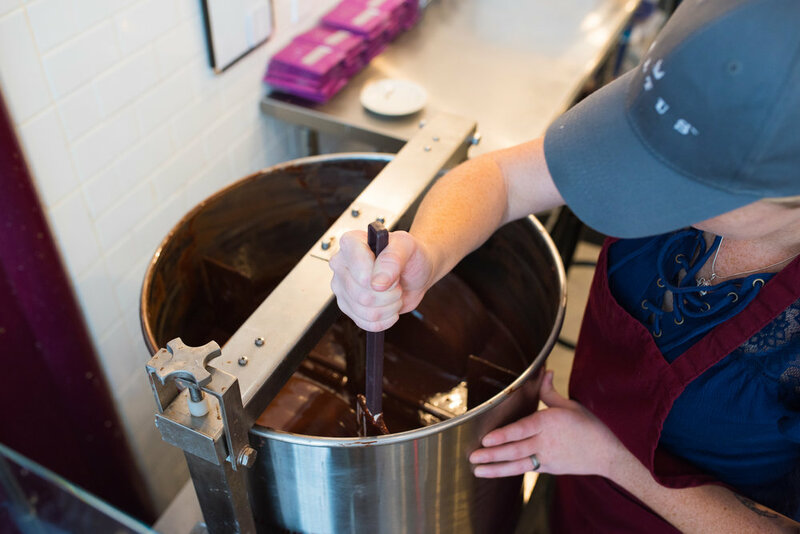 “I always make sure [our cocoa beans are] organic, fair trade, and has unique, delicious flavors,” Carl explained. 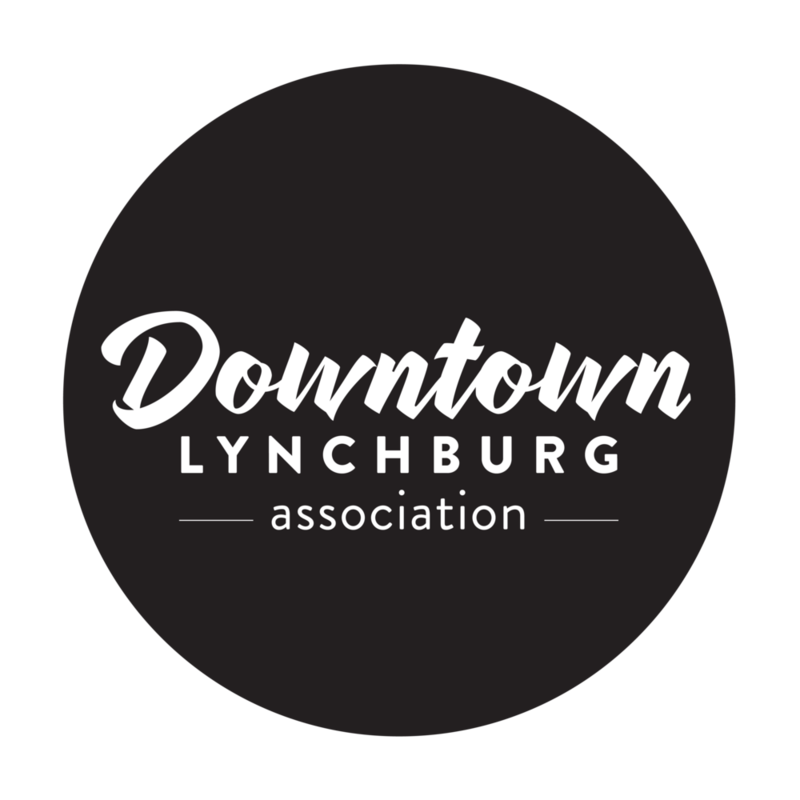 As demand for their chocolate grew, Carl and Mary began to look for space in Downtown Lynchburg to expand their business since they had been selling their chocolate at the Community Market and already had customers there. When a space opened at 908 Main Street in November of 2013, they took it. 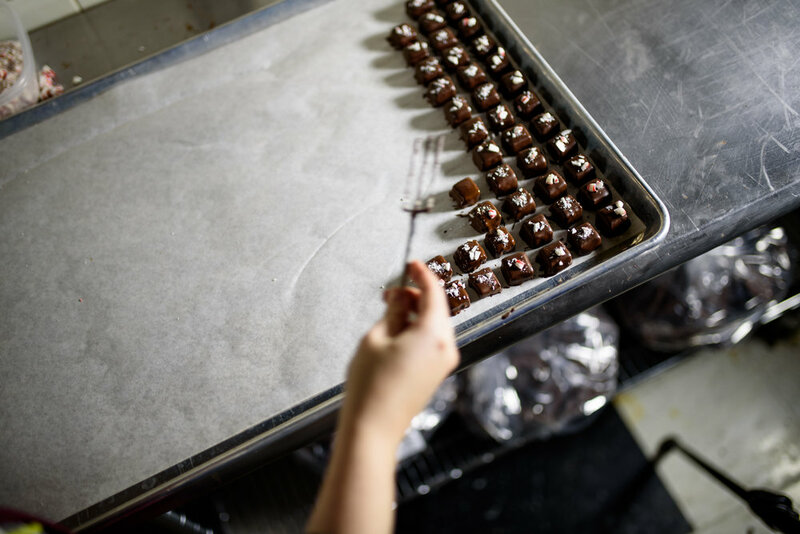 Soon the space became home to Altus Chocolate, complete with a lounge for customers to savor a hot chocolate, baked good, hand-crafted truffles, or other specialty items. Carl and Mary originally came to Lynchburg as sort of a middle ground between Carl’s family in New York and Mary’s in Atlanta. They sought a place with a good economy where Mary could get a master’s degree in counseling. Lynchburg was perfect. “We decided to come here and put down some roots,” Carl said. Carl and Mary welcomed their first child this past summer. She’s still young, but Carl is already looking forward to having her taste chocolate for the first time.